There’s absolutely no shortage of different smart plugs on the market, but as with all things in life not all are created equal. Some are huge monstrosities that take up the space of two plugs on a dual-socket, and some just don’t look the part in our ultra-modern smart homes. Koogeek makes sure that its own smart plugs don’t fall into this category, and right now you can save some money on a range of its plugs. Depending on which you go for you could save anything up to $15, which isn’t a bad saving at all. With deals ranging from a single energy monitoring plug to four mini smart plugs, there should be a deal here for everyone. Head on over to the Amazon page and select the order you want to make, and then enter our super special discount code to make a saving. 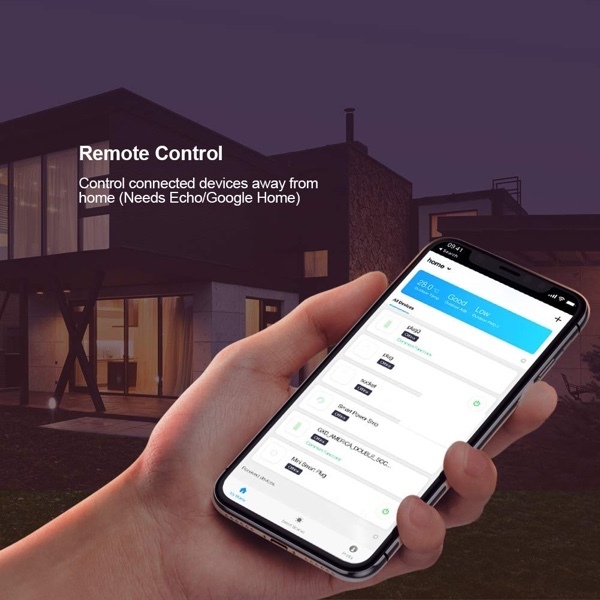 No matter which plug you go for you’re going to get the usual Koogeek quality, along with support for both Amazon Alexa and Google Assistant, so you should be good to go when it comes to controlling everything using just your voice. Compatible with Amazon Alexa and the Google Assistant. By setting schedules and timers for the tamp, you can prepare a crock pot meal and get home with dinner’s ready, or turn off your nightstand light after sleeping. We love smart plugs because they can take any old device and make it smart, so whether you’re plugging these things into a lamp, coffee maker, or fan, we think you’re going to love them. Get your orders in soon though, this code won’t be around for long.